Hello and Welcome to Pod 2! We have had a nice start to Term 1. Thank you to all the parents and older siblings who have come in and introduced themselves. We are sharing the Pod. Nicky will be in teaching Mondays, Tuesdays and Wednesdays. Sarah will be in teaching on Thursdays and Fridays. 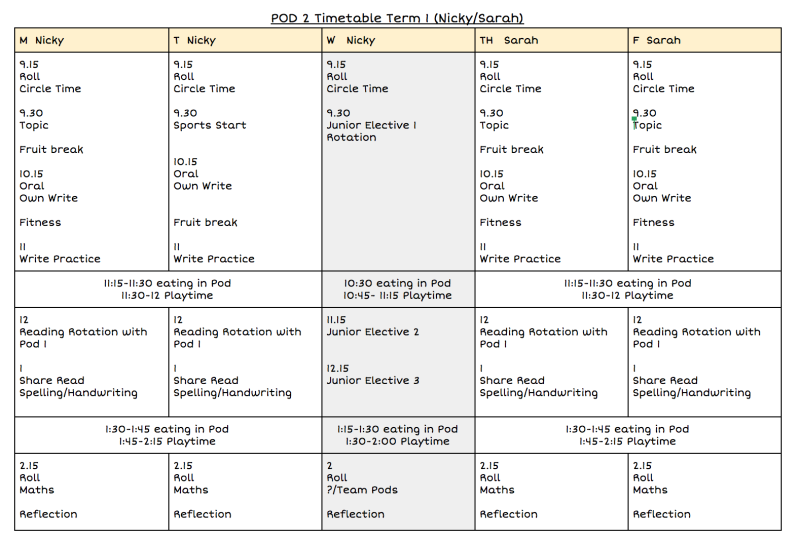 We have some exciting changes to the school timetable this year. We will share this shortly. Our topic this Term is ‘This is Me’ covering the Health and Physical Well Being curriculum. During this topic we are learning about ourselves- as a learner, our interests and strengths. We look forward to the exciting year a head!